By Habib Battah, in Beirut Report. Activists alleged that the state has illegally provided tens of thousands of square meters of public shoreline to well-connected investors. The move paves the way for the creation of at least five new massive resort projects on the last stretch of undeveloped coast in the capital. 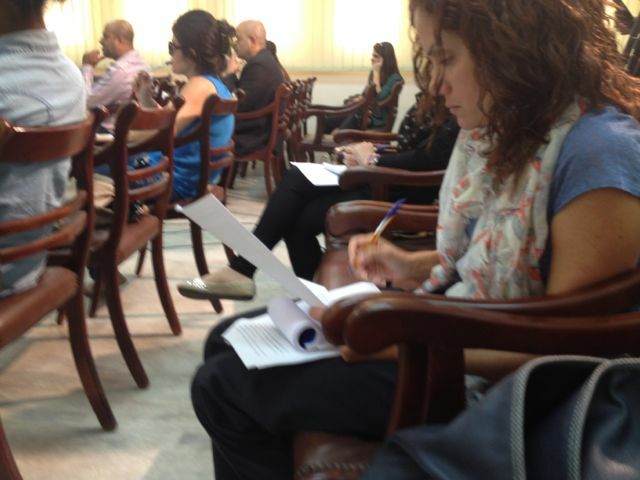 The activists from the Civil Campaign to Protect Dalieh made their case yesterday at the press syndicate, presenting a series of documents that reveal the manipulation of laws that has allowed investors to seize public property for free, in some cases tripling the size of their existing projects. The suit, which was launched last week, focuses particularly on Decree 169 of 1989 which removed state protection from the last undeveloped shore in Ras Beirut surrounding the landmark Raouche “pigeon rocks” and includes Beirut’s only free beach, Ramlet el Baida. The area is known as “zone 10″ and runs the length of the Roauche coastline from the Summerland resort, passed the pigeon rocks and up to the Sporting resort. This area had been exempt from development until the 1989 decree but that decree was never published publicly, activists claim. 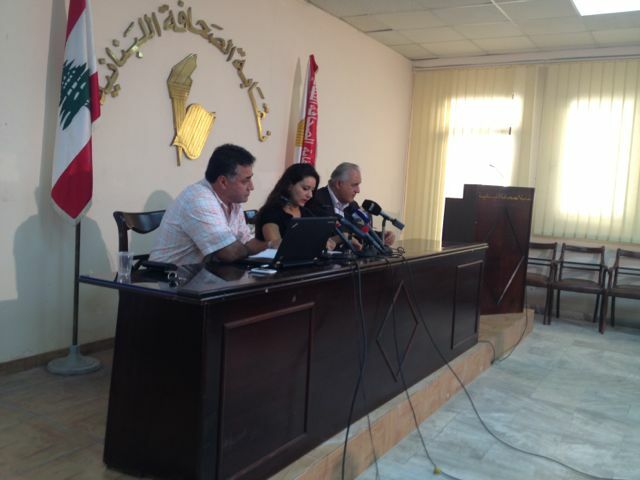 According to Lebanese law, new legislation must be published in the weekly National Gazette– a state record of new laws– in order to become enforceable and legally binding. But activists said there is no record of the law’s publication. And if a law is not published publicly, it cannot be challenged as the time limit for appealing a law is only two months, the activists said. The coalition was represented by architect and urbanist Abir Saksouk-Sasso (center) and Ali Darwish (left) the head of the environmental organization, Greenline. Investors exploitation in “Zone 10″ is further boosted by a controversial set of laws passed in the late 1960s and 1980s that give developers special privileges to take publicly held land adjacent to their projects at no cost. According to decrees passed in 1966 and 1982 investors who own at least 20,000 square meters of property are allowed to claim double the amount they already own in public land surrounding their projects with the aim of “supporting tourism” (though the resorts are often only accessible to elites). 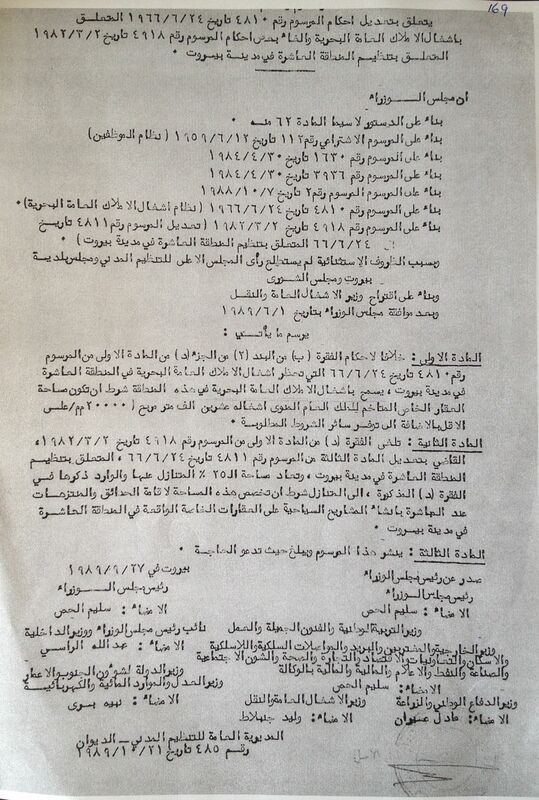 Yet “Zone 10″ had been exempt from this development up until the 1988 decree that is subject of today’s lawsuit. 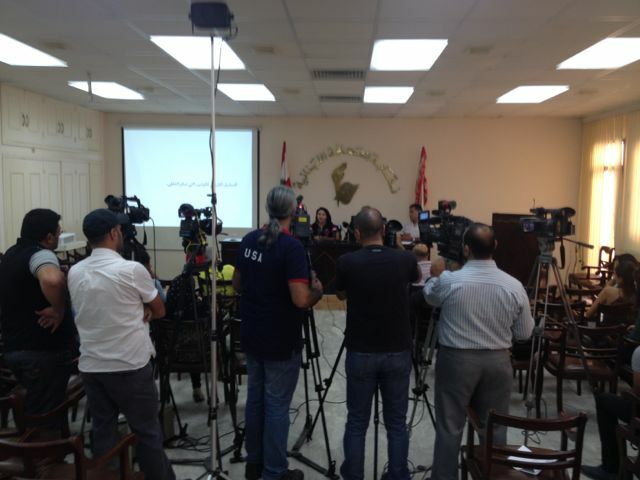 There was a pretty good turnout from the mainstream Lebanese press, including some regional channels such as BBC. In part two of this post, I will discuss some of the interesting facts and figures presented by activists that detail millions and possibly billions of dollars in losses to citizens as a result of these sweet deals with investors over recent years. Note politicians who signed this document are recorded on the bottom. 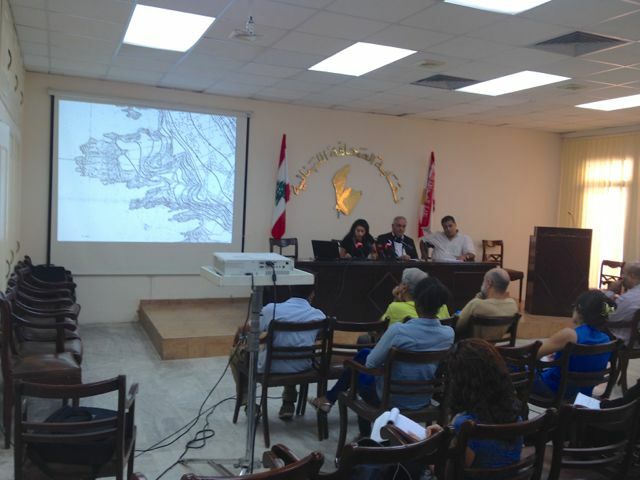 Activists are determined and they are meeting on a weekly basis to help protect Raouche, Dalieh Ramlet el Baida and the rest of the last stretch of Beirut coast in Zone 10 . They are also looking for all sorts of volunteers to help . You can get in touch with them by sending a message to their Facebook page. Thanks for reposting my story. Would appreciate a by line if possible. We reference the Beirut report, but cannot find a more specific name. Please let us know and we will add it! My name is Habib Battah. Thanks.